We manufacture electrical cable ducts that are a very important part of electrical fittings. Our electrical cable ducts are efficient and have the capacity to with stand heat and fluctuations in the electricity. 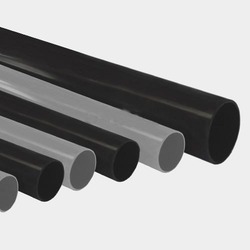 Steel Conduit Pipe Fittings & Accessories Steel Conduit Pipe Fittings & Accessories technical data and specifications as below tables, Any kind of special Steel Conduit Pipe Fittings & Accessories can be developed and supplied exactly as per customer specifications and requirement. Plastosil Moulds is geared to mee the ever-evolving requirements of our respected clients, we are offering a premium quality range of Electrical Fitting Moulds, our agenda is clear, ie meet the expectations of the clients by rolling out quality products that will help us to retain and inturn give us repeat business from them.